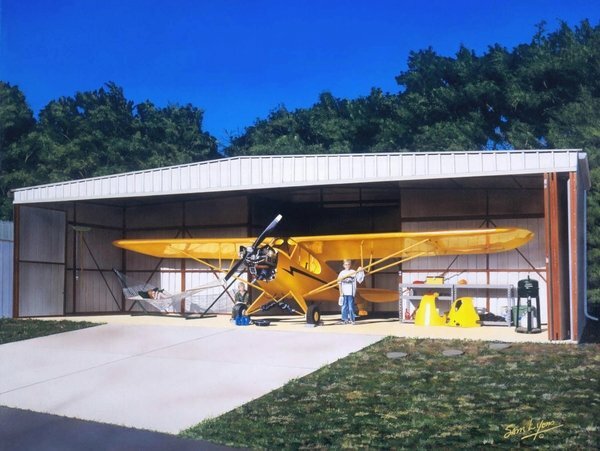 Changing the oil on this J-3 Piper Cub is a family affair. The three children help out when it’s time to do maintenance on the Beck’s immaculate Cub. (Although it looks like some people are working harder than others!